Basics Bitcoin Cash: Will the offshoot of Bitcoin be its replacement? The biggest currency among all cryptocurrencies, Bitcoin, has gotten an offshoot by means of a Hard Fork: Bitcoin Cash (BCH). Bitcoin is the original version of several hundred cryptocurrencies that have been around for some time. This blockchain was separated permanently for the first time on the 1st of August. The newly created currency, Bitcoin Cash, has quickly established itself and is traded on most exchanges. But what exactly is Bitcoin Cash? Satoshi Nakamoto, the inventor of Bitcoin, determined the size of a data block to one megabyte. This limits the size of a single container. At the beginning, there were not many requests for transactions on the Bitcoin Blockchain. However, due to the fast growing awareness, more and more transactions had to be processed per second. This factor is considered a limiting obstacle to meet the ever-increasing transaction volume. The developers, who decided to separate Bitcoin Cash from Bitcoin, opted for increasing the container size. According to some sources, this should be a closer circle of developers operating the minerpool from China. Miners are users with a prominent position in the Bitcoin network. With incredibly high computing power, they ensure the smooth operation of the system. The Chinese miners benefit from the low energy costs and the favorable climate and site conditions. With this “market advantage” you gain more and more power within the Bitcoin community and can make important decisions in your favor. With Bitcoin Cash, a block no longer is of 1 megabyte data size, but the container can be up to 8 megabytes in size. As a result, significantly more transaction data can be processed and the blockchain can work more efficiently. However, this new block size complicates network proliferation and processing. Although this innovation is a small step forward compared to Bitcoin, leading experts agree that this will not be enough to handle global payments through Bitcoin Cash. In order to master this challenge, the block sizes would have to amount to several hundred megabytes, which at the present time would not be possible in the decentralized network due to the lack of resources. Buying Bitcoin Cash: Worth an Investment? Since the price of Bitcoin Cash fluctuates sharply, it is not yet possible to make a well-founded statement about whether investing in the new coin is worthwhile. You can buy Bitcoin Cash on Coinbase. We have compiled a detailed guide for you on how to buy Bitcoin Cash. The already mentioned miners were unwilling to change the block size at the beginning. The level of difficulty to find new blocks adjusts every two weeks. However, in order to avoid that no Bitcoin cash block is found due to too little hash power, there are new rules (these are referred to in professional circles as “Emergency Difficulty Adjustment”). 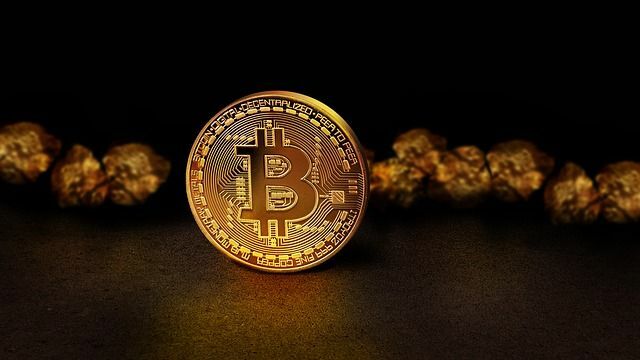 With Bitcoin, the blocks often had several hours of waiting period between the first blocks, whereas the new system settled at a time interval of just under ten minutes. Thus, the difficulty of Bitcoin Cash is just 12% of the difficulty of Bitcoin Core (according to https://blockchair.com). Next articleBitcoin Spike: Should East Asia Get the Credit?